I've had fantastic results with Glycolic home peel masks, and I really can say that they are great for pigmentation and acne prone skin. My skin feels better, looks better and is less prone to breakouts due to the removal of the dead skin cells. Last week I finally decided to try a professional MD Formulations Glycolic peel. I've never had a Glycolic peel done before professionally. It costs usually 110 Euros and it takes about 30 minutes for the whole procedure. Luckily I got this peel only for 38 Euros, advertised on one of the city deals. Glycolic Peels are very mild peels and are also referred to as the Lunchtime peels. The Beautician cleansed and exfoliated my face , and then basically just massaged the Glycolic peel with cotton tips, and then she left it on my face for about ten minutes and wiped my face down with cold compresses after. It felt a little bit stingy - but not uncomfortable. What happens after the Glycolic peel? After the peel, the sting that I felt while getting the chemical peel was gone straight after, but my face felt particularly dry. It felt this way for 5 days. And my skin started to peel on day 3.It actually looked like, I had a mild sunburn, and the skin was coming off. 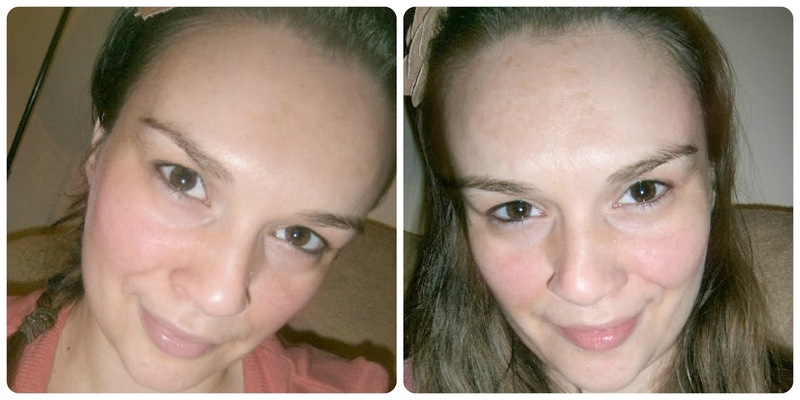 But in about a week time, my skin returned back to normal, and it looked much smoother and more even in skin tone. To get the best results, you should be using glycolic products at home in between peels, so most of my skin care products contain at least on kind of AHAs and BHAs. See also my post about AHAs and BHAs . I definitely recommend this treatment to everyone, you will see results very quickly,and only downside really is that it can be drying to your skin. Usually you would need at least three to four treatments before you can see results. I guess it also depends really on your home skin care regime. Just remember to wear very high SPF Sunscreen after the treatment, since your skin will be more sensitised. What about you girls? Have you ever tried any chemical peels before and what was your experience? I love the sound of this.. Never been to have anything done at a salon cos I have sensitive skin and I worry it would end in a breakout (Although, I've been told that means it's working?) You mentioned at the start that you'd done a glycolic peel at home. What were the results like? Would you recommend a home peel before a salon? Hey HELen, thats right, if you get a break out, it is indeed a good thing, because your skin is getting rid of all the dead cells and other gunk, that has accumulated over years. I use glycolic and salicylic acids in my mask, cleansers, toners and creams, paired with Vitmin A, and all of them have helped to even out my skintone and get rid of my grown up acne. ( I only use Image skincare, and I think its just the best, but its only sold and salons, so you can google and see where you can find them near you. I defo would recommend starting with this kind of products and then go to salon for the procedure! great post, I had a series of treatments with a herbal peel, which is pretty much the same procedure, but this embeds microscopic herbal needles into the skin & it keeps working after it has been taken off. This was called the 2b bio peel and it has pretty much cured my acne & got rid of a lot of my scarring. it is also good for pigmentation & wrinkles. I hope u have a good experience with this peel! I will defo go for an another peel, I only wish it wouldnt be so expensive! How fun to try on new things! Make sure you stop by my blog!